GOT GRIT??? YES WE DO!!! As we move into the second six weeks of school, we will continue with our instructional rounds process at each campus to examine our district-wide problem of practice. The key behind instructional rounds is that EVERYONE involved is working on their practice and learning; it is as much about the leaders learning as the teachers being observed. Rounds address the gap between professional development and our ability to implement the knowledge and skills offered in PD. 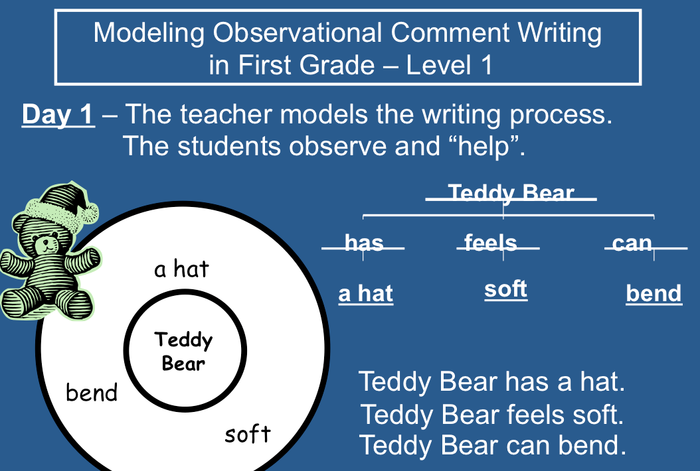 During the observation, we will be looking for evidence of critical thinking through critical writing across the curriculum by examining student products and tasks. During the debrief we will identify patterns and trends that support or work against the problem of practice, and then we will brainstorm our next level of work as a district, based off of the evidence collected. Rounds will ensure that we are providing appropriate and on-going professional growth opportunities to increase student achievement. 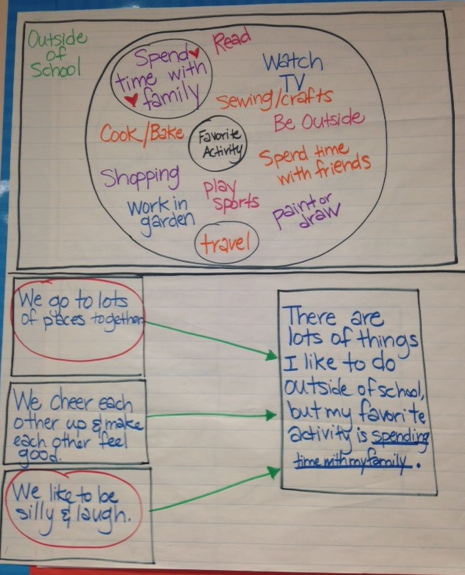 What Does Evidence of Critical Writing Look Like??? Critical thinking refers to a process of reflecting deeply; it is when students are analyzing, evaluating, interpreting, or synthesizing information and applying creative thought to form an argument, solve a problem, or reach a conclusion. 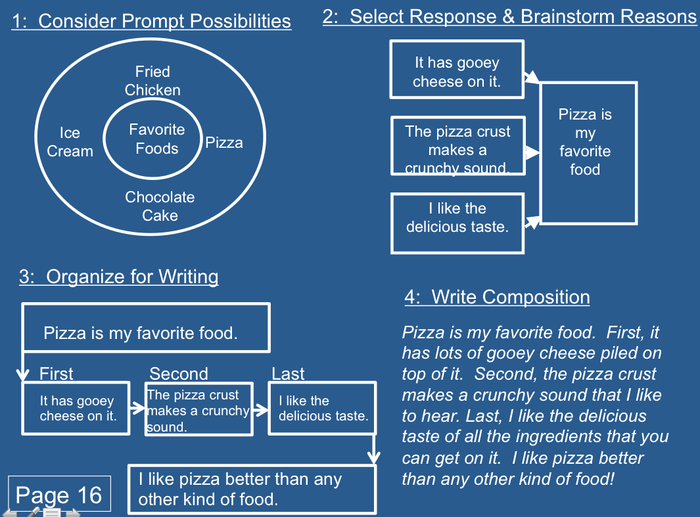 Thinking critically through writing goes beyond copying notes, memorization, and recalling information and facts. 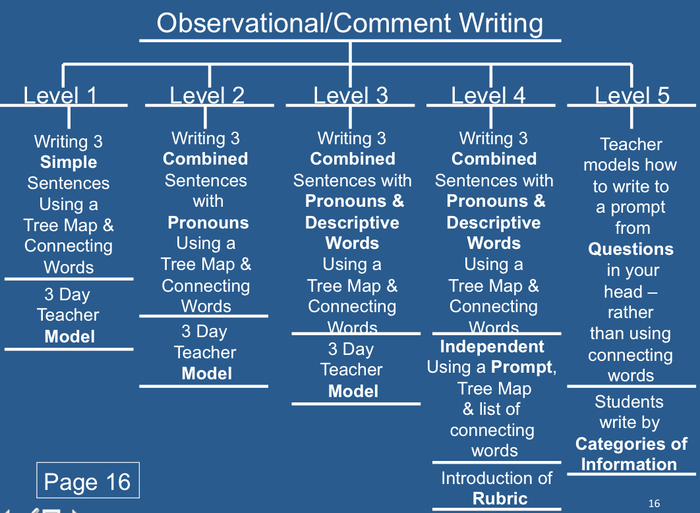 Critical writing requires effort and high levels of reflective thinking from students. 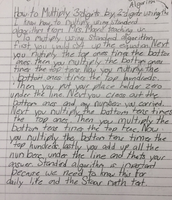 Authentic writing is student-created learning responses that demonstrate individual ownership of learning. 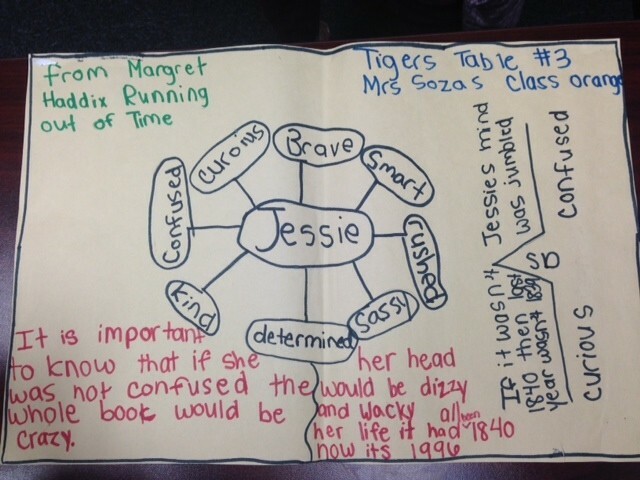 Authentic journaling allows students an opportunity to make meaningful connections and to reflect on their thinking. 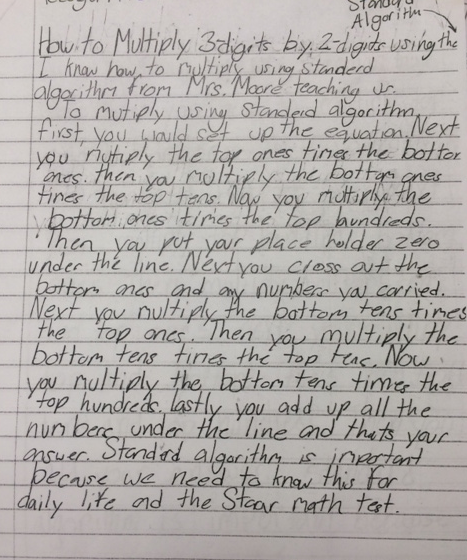 Authentic writing elicits "real world" connections and involves writing for a genuine purpose beyond satisfying the teacher's assignment. 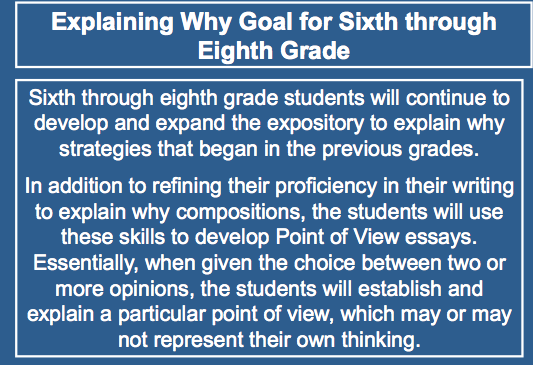 The frame of reference enhances learning by adding rigor and relevance to Thinking Maps. Every map can have a frame of reference. The red frame answers the question, What conclusions can you draw from your map? The green frame answers the question, Where did you get the information in your map? 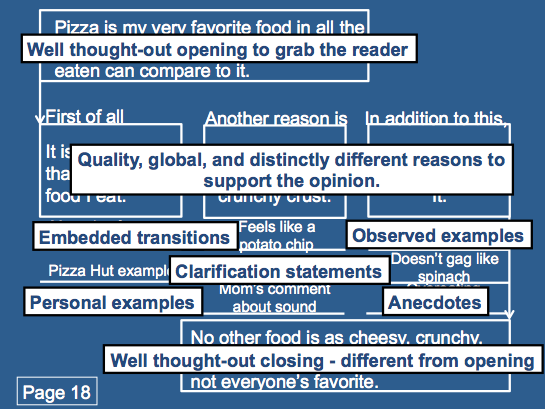 The blue frame answers the question, What is influencing the information in your map? The red frame is the metacognitive frame that allows students an opportunity to think reflectively by answering the questions, "so what?" and "so why?". 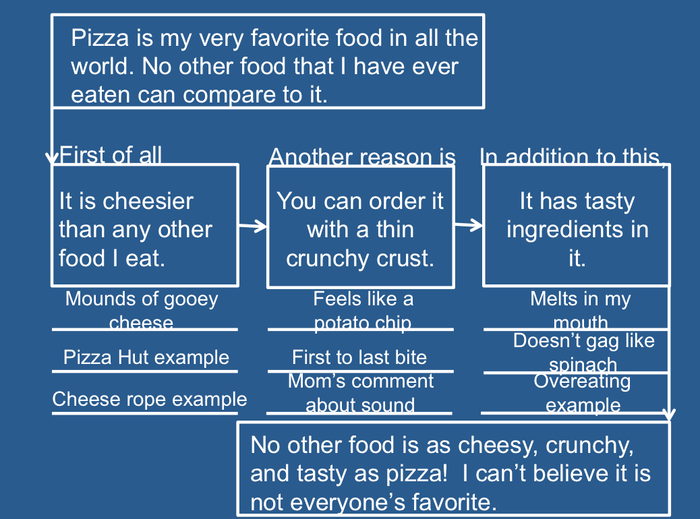 The "so what" statement summarizes the information on the map into a complete sentence. The "so why" statement answers the question, "why is this important?". 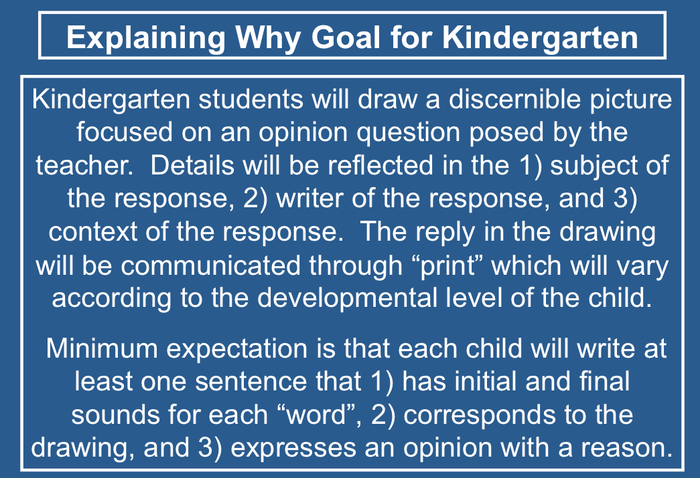 The "so why" statement makes the work meaningful and relevant for students, which increases retention of information. 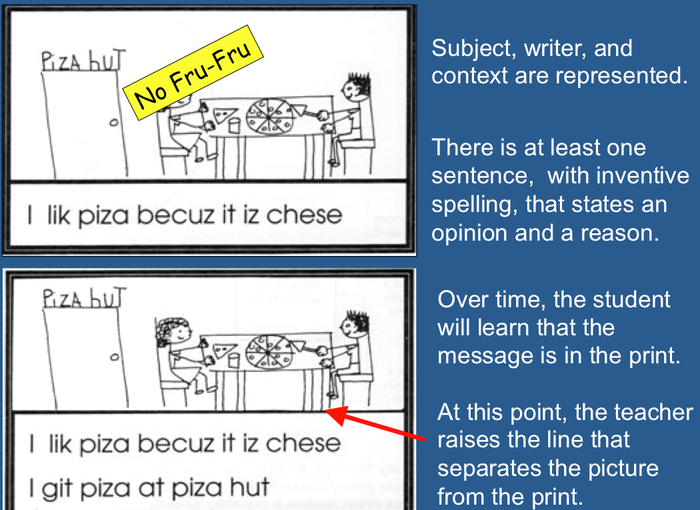 The "so what" statement can be taken directly from the frame to become the topic sentence of the paragraph. 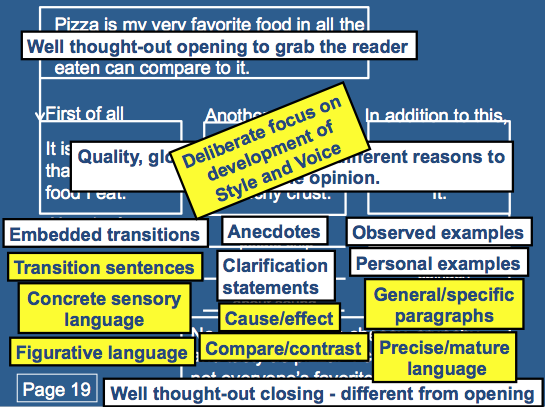 The vocabulary utilized in the Thinking Map becomes the detail sentences for the body of the paragraph. The "so why" statement becomes the closing sentence of the paragraph. 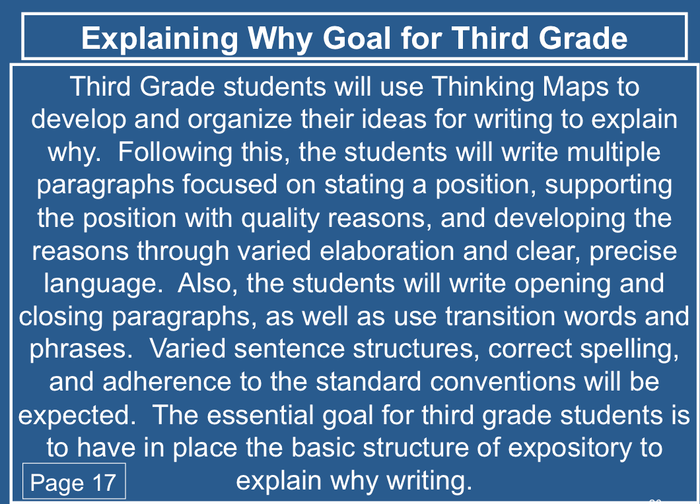 Ensure that our students are truly making meaning when constructing Thinking Maps by providing consistent opportunities to take the information off the map to a piece of writing. Take your maps to the highest level of thinking by utilizing the red, green, and blue frame of reference. 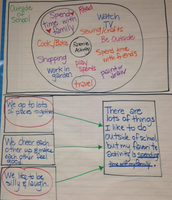 An anchor chart is a tool to facilitate student self-regulation and it supports independence. 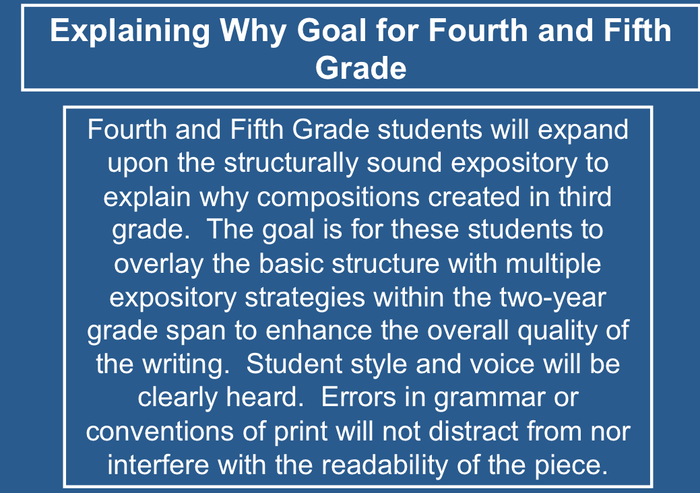 It is visual evidence of the work done by students and teachers that serves as scaffolding that can be removed as students retain the learning reinforced by the anchor chart. 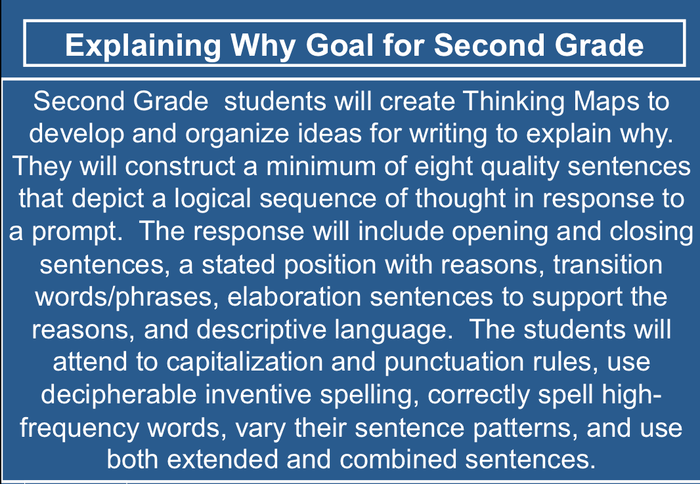 Anchor charts build a culture of literacy in the classroom through making thinking visual and concrete by recording content, vocabulary, strategies, processes, cues, and guidelines during the learning process. Posting anchor charts keeps relevant and current learning accessible to students to remind them of prior learning and to enable them to make connections as new learning occurs. 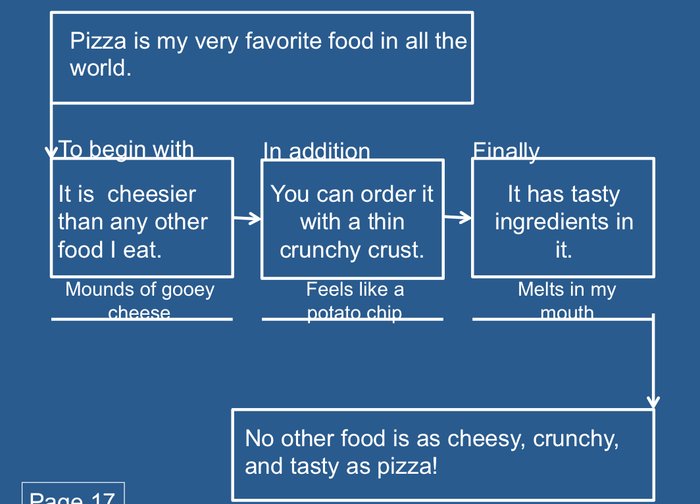 Students should reference the charts as tools when thinking critically, answering questions, expanding ideas, or contributing to discussions in class. 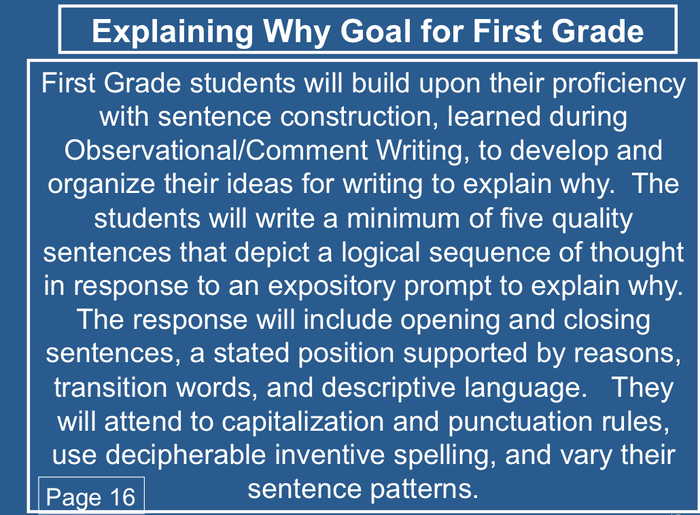 Anchor charts should be co-created within the context of a lesson or over a series of lessons. 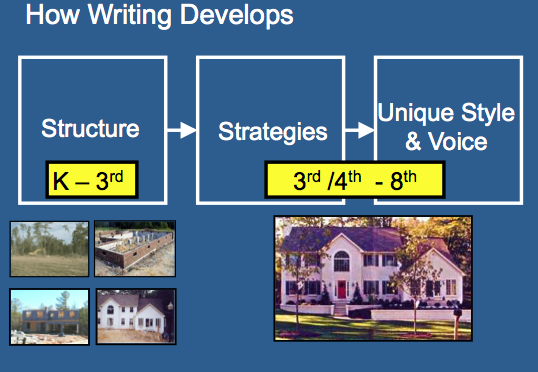 The teacher and students should determine what goes on the chart and the students should "own" the learning. If an anchor chart is not co-created with students, it is likely to be just a poster on the wall, rather than a reference tool. 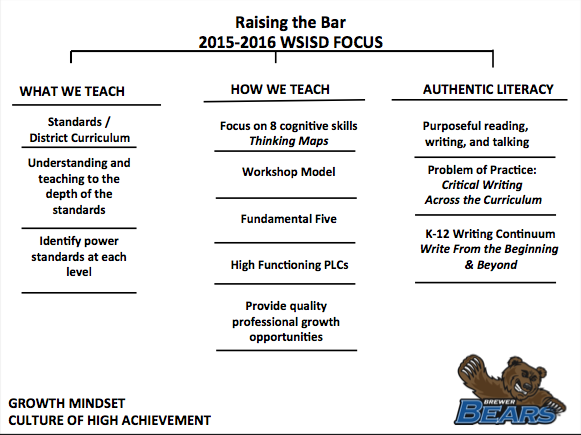 WHITE SETTLEMENT ISD...BEST DISTRICT IN THE UNIVERSE!